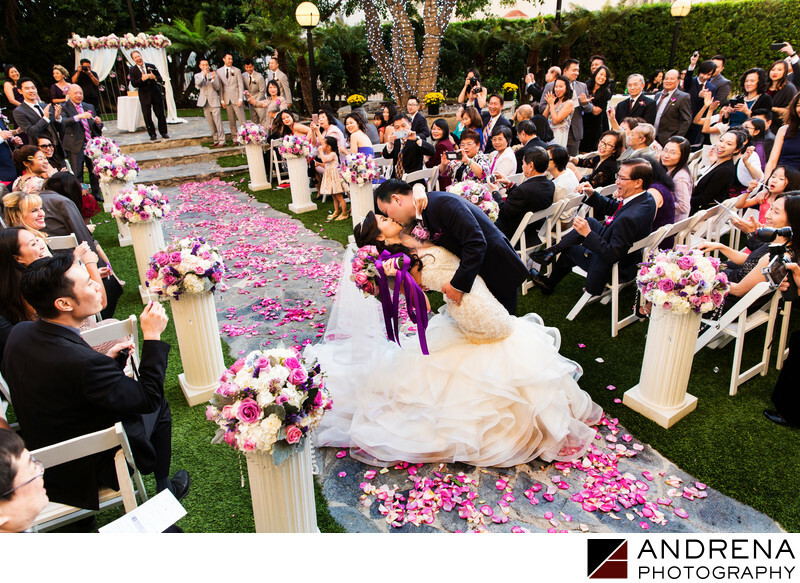 The Intercontinental Hotel in Los Angeles boasts a garden ceremony location as well as a rooftop helipad for portraits, which enabled me to capture this Chinese wedding in a wonderful way. This lovely moment happened during the bride and groom's recessional, just after their ceremony. The groom kissed his bride and dipped her, to the delight of their assembled guests. I was positioned on a ladder, which gave me a perfect vantage point from which to capture this glorious moment. I love the officiant in the back, as his smile says it all.